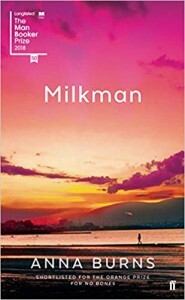 As a native of Northern Ireland and indeed spending a greater part of my teens in battle ridden Belfast I am well versed with the people and the country to appreciate or not Milkman by Anna Burns. I have to admit at first blush indeed for the first few chapters I was intrigued by her intensive and somewhat claustrophobic style. Here was a society built on gossip, a suspicious people hardened by a bitter indoctrination an unnerving belief in the supremacy of the catholic church or the teachings of such inflammatory demagogues as the most Reverent Ian Paisley, Jerry Adams or indeed intimation by the various sectarian groups UDA, IRA who viewed Belfast as their very own battle ground. The best way to describe her style of writing is to think of a book and all the words that make up a story....take those words throw them high into the air and upon retrieval start reading....The experience is not quite right it's a jumbled and confusing picture that is painted which quite neatly sums up Milkman. This is a story where no one has a name and is narrated by middle sister who attempts to keep her mother and family ignorant of her maybe boyfriend and her rumoured affair with the Milkman. It is a story and language that tries to copy and show the small minded approach of a hypocritical populace where to be the wrong religion was a sentence of death, and where a strong opinion would leave you open to persecution by the shadowy renouncers. It didn't work for me with few chapters a total lack and use of paragraphs the whole experience was muddled and confused. If the intent of the author was to get inside the mindset of the politically deranged "Ulsterman" it failed miserably and was a great disappointment to me personally.